back in single digits and Ron Paul gaining another percentage point of support in the very unsettled race for the Republican Presidential Nomination. Shepherd Smith from Fox News interviewed Ron Paul on this clip. Among many things, he asked Paul what would his message be to President Musharaff concerning terrorists’ possibly obtaining Pakistan’s nuclear weapons. Paul never replies without first giving us a history of American intervention in Middle Eastern politics. The US has aided Pakistan with over 10 billion dollars. Paul’s answer was classic: “No more money pal we’ve given you 10 billion and your flunking the course.” “Musharaff is a puppet of ours,” says Paul. This is why the people are trying to overtake that government. They do not want to know that one of their own is supporting the pro-Israel agenda of the United States. This is the theory of blowback. When you try to impose democracy and overthrow dictators, you receive the fury of the Middle East. Paul once again re-asserts the conspicuous fact uttered by the Founders: Stay away from foreign entanglements. 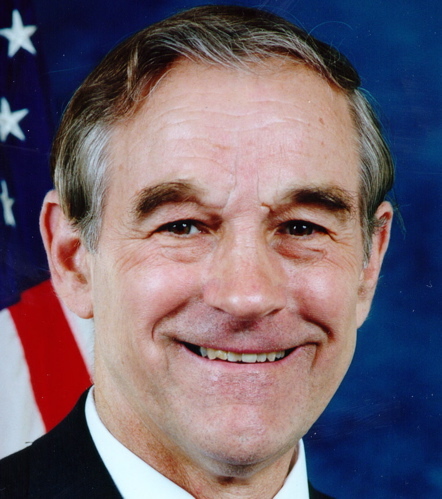 Yes Ron Paul is a hero that is going against the state to seek freedom and repair a structural injustice within our system. But the film V for Vendetta is an openly anti-Catholic film that bizarrely glorifies a Catholic anti-establishment figure from history who sought to liberate Catholics from an anti-Catholic tyrannical regime, and puts him in a film which is overtly anti-Catholic and anti-Christian. How does this fit with Ron Paul and his message? This is not the message I want to convey to anyone and, as CFRP concludes, this message is inconsistent with Ron Paul’s message of religious freedom. Further, Ron Paul would never embrace a message that opposes the Christian faith. Though the symbolism behind the date is probably not the most desirable for a Ron Paul donation explosion, nevertheless it will suit our purposes in this great day in campaigning history. As of 7:44AM, we have raised over $614,000. The day has just begun. My host has just added a new plugin that allows me to post YouTube videos. That just made my day. I have already posted four in the last few days. On another note, I have spent almost all day working on my sermon this Sunday. It will be the second part of two sermons on Joshua 6. It will go through a severe edititing process before Sunday. Hopefully, I will post the link to the first sermon soon. I rarely listen to Russian composers, but this one is sublime.